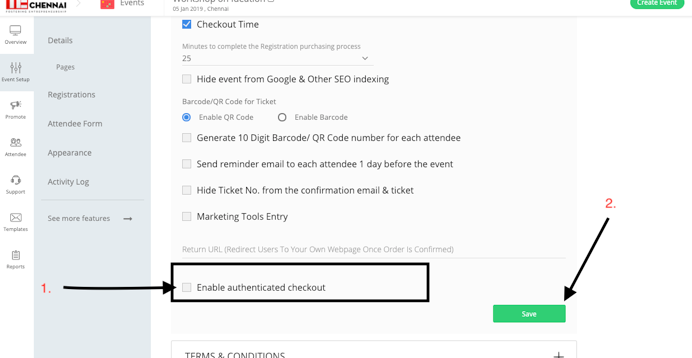 How to enable Authenticated Checkout for your event? This setting is provided for each of the event at the event level. Once this is enabled, the Checkout page would change automatically. It will ask the Member to enter the email id and Password. Basis the entered data, system will authentic the person and show the relevant tickets and also it will load the data in the attendee form. This particular feature should be used only when a chapter is very sure that this event is only for Members of the chapter irrespective of membership type.